1.The Embassy of Japan is accepting donations for relief efforts in response to the Great East Japan Earthquake, which took place on 11th March 2011. We continue to accept payments by bank cheque (addressed to the Embassy of Japan). All donations received will be converted into Yen and forwarded to the Japanese Red Cross Society to be dispensed to assist the people in the Tohoku region who have been affected by this disaster. Please write your name, address and 'for Earthquake Relief' on the reverse side of the cheque. In addition, if you need a receipt, please request it in writing and enclose a stamped addressed envelope. 2.You can also make a direct donation to the Japanese Red Cross Society via the bank account shown below. Donations to be forwarded to the Donation Allocation Committees of the relevant local governments in the affected areas to be dispensed to the people affected by this disaster. If a receipt is needed, please indicate accordingly in the remarks column of the payment slip. 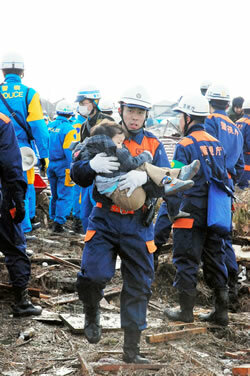 We would like to express our deep gratitude for your warm sympathy and kind assistance.